Janet had been married eleven years when her husband, Ron, told her that he didn’t want to be married to her any more. Understandably, Janet took it extremely hard and refused to believe that Ron meant what he said. But he did. So much so that he divorced Janet. Two years later Janet was still in denial about her situation even though Ron was married to another woman. Furthermore, while Janet was fully supporting herself and taking care of her and Ron’s children, Janet was still supporting Ron financially—all of which was a vain attempt to get him back. She had blinded herself totally to the reality of her situation and was living in a fantasy world. As long as she was in such deep denial, she was bound by her past, going nowhere with her life. When Janet joined a support/growth group and began to see how much she was in denial about her situation, as painful as it was she was able to begin a process of healing that, in time, set her free to move ahead with her life. Over the years I’ve had my fair share of run-in’s with KJV Only advocates. And not once has it been a pleasurable experience. They are often aggressive, forceful and argumentative. Through my experience I’ve discovered that the best defence in this case is a good offence. Don’t argue back, but you can turn the tables by asking a few questions and then walking away. Just get them thinking. Put the ball in their court and then leave it alone. 1. Did you know that the KJV in print today is a 1769 edition? This will come as a shock to most KJV Only advocates you meet on the street. They are convinced that they are using the original 1611 edition. You can easily show them simply by directing them to the copyright page of their own Bible. This matters because if the KJV is the only Bible we should use a fair question is, which KJV Bible? The KJV went through literally dozens of editions between 1611 and 1769, the first being as early as 1612! 2. Did you know that the KJV has the record for the longest copyright in history? An argument that is sometimes employed is that God’s word should be freely made available to every person. But modern translations are copyrighted while the KJV is not. But, in fact, the KJV was copyrighted from when it was first published in 1611 all the way until the late twentieth century. In other words, the KJV was copyrighted for almost three hundred and fifty years! 3. Did you know that the TR is based on seven incomplete and fairly recent manuscripts and the Latin Vulgate? As the argument goes, the KJV is based on the Greek Text known as the Textus Receptus (because it was considered the “received text”). Since the TR is “received” it must be authorized (by God). At that time in the Western Church (Rome/Protestants), there were almost no Greek Texts in extent. This goes back to when the Western and Eastern Churches split. The West wanted nothing to do with the East or with its Greek New Testament. The East wanted nothing to do with the West or its Latin Bible. So when the Humanist named Erasmus went about to make a fresh Greek text he could only get his hands on seven pieces of Greek manuscripts, all fairly recent. None was complete. To fill in the blank he used the Latin Vulgate. By contrast, modern translations rely on well over 5000 Greek manuscripts dating back almost 1000 further than the manuscripts which the TR used. 4. Did you know that the KJV Bible itself was not and is not Authorized? This is a huge point. KJV Only advocates often claim that the KJV was authorized by the crown of England and that, they say, proves that God approved of it above all other translations. In point of fact, it is the printers that were authorized, not the text. Because the KJV was copyrighted, only specific publishers were “authorized” to print it. The text was dedicated to King James, but it was never formally endorsed by the crown. 5. When comparing the KJV to other translations, why do you assume that the KJV is the standard when today’s translations rely on Greek texts that are much order and much loser to the originals than the KJV’s TR? This is a fair question. The assumption is this: if there’s a difference between the NIV and KJV the NIV “must have deleted” a word or a verse. But why? If it relies on Greek manuscripts that go back almost 1000 years further than the one the KJV uses, can’t we equally charge the KJV with having “added” to God’s word? Furthermore, if we say that because the KJV is older than modern translations it should be the standard, a fair question is still to ask why stop at the KJV? 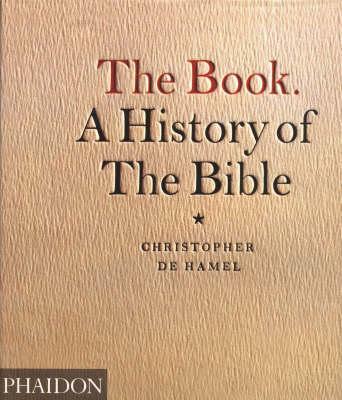 Why not the Geneva Bible, the Bishops Bible or the Great Bible? All English translations what preceded the KJV. It’s a well established fact that sacred texts expand over time. “Any sacred text is more likely to accumulate additions than to lose parts which might be authentic” (pg. 21). And yet that fact along should challenge us to take the risk if we want what was actually recorded and not what was added in later by scribal error or some other addition. Being accused of having deleted something of the text is a necessary risk we have to be willing to take if we want to get back to the originals as the Reformers and the KJV translators themselves wanted. Want to grow in your faith? Share it! Sharing your faith with loved ones isn’t the easiest thing in the world to do sometimes, but it’s something we all are called to do. Recently, I mentioned that the small groups in our church have been going through a witnessing workshop intended to give us practical guidance and a biblical foundation for personal evangelism. While I know there’s some folks reading this who might find the idea of a “witnessing workshop” silly, we should recognize that we need the help. 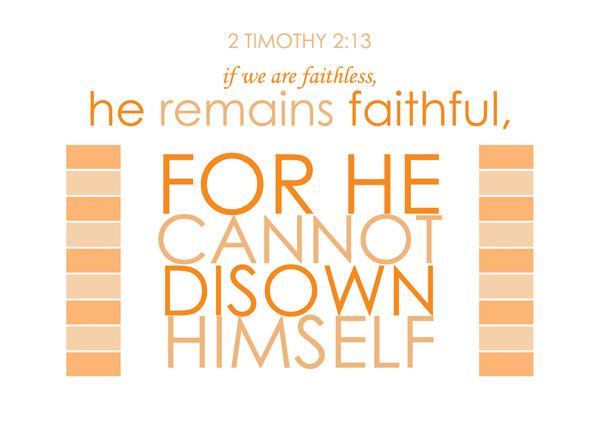 According to LIfeWay Research, while the majority of us agree that sharing our faith is important, few of us do so on a regular basis (if at all). This despite the majority of people surveyed saying they felt comfortable sharing their faith effectively. So what’s the deal? What’s with the disconnect here? If you want to grow in your faith, you’ve got to share it. That’s something we’ve been reminded of as we continue down the road to completing our witnessing workshop and encouraging our small group members to engage with the course’s assignments. And I’ll be honest, we were kind of terrified of doing a lot of it. One of our first assignments was to ask three people we know what they believe about the afterlife. Not counter it, not correct it—just ask and listen. We received some impressive feedback from almost everyone we asked (only one had an answer that amounted to “I dunno”). One of our family members actually provided a two page email in response to the question—giving not only his opinion of the afterlife, but outlining his entire worldview! And although there was so much that he said that would make you want to cry if I shared it, there was much that we could affirm as true—truths that we would be able to redirect to Jesus. Another way we’ve seen God at work through it is in our small group members, who, after an initial rough patch with getting started, have started to realize that engaging people in spiritual conversations isn’t terribly difficult. Most people are quite happy to tell you what they believe about practically anything—and by listening, we gain an opportunity to be heard as well. But none of this would happen if we weren’t all striving to be intentional about sharing our faith. Our church leaders want to see relational evangelism normalized in the lifestyle of the congregation. All of us still have a long way to go, but those who are embracing the opportunities God provides are seeing their own faith grow. What are some of the obstacles preventing you from sharing your faith? It is the glorious message of the redemption God has provided for us through the birth, life, death, resurrection and ascension of Jesus Christ. We should try to share this message whenever we can. But the gospel is more than words – it is the power of God. The power of the gospel isn’t in the speaker. The good news of Jesus is powerful because it is the very word of God and the Holy Spirit infuses God’s word with power. I sometimes think I might have been in darkness and despair until now, had it not been for the goodness of God in sending a snowstorm one Sunday morning, while I was going to a certain place of worship. I turned a side street, and came to a little Primitive Methodist Church. In that chapel there may have been a dozen or fifteen people. I had heard of the Primitive Methodists, how they sang so loudly that they made people’s heads ache; but that did not matter to me. I wanted to know how I might be saved…. The preacher began thus: “This is a very simple text indeed. It says ‘Look.’ Now lookin’ don’t take a deal of pain. It aint liftin’ your foot or your finger; it is just ‘Look.’ Well, a man needn’t go to College to learn to look. You may be the biggest fool, and yet you can look. A man needn’t be worth a thousand a year to look. Anyone can look; even a child can look. Just fixing his eyes on me, as if he knew all my heart, he said, “Young man, you look very miserable.” Well, I did, but I had not been accustomed to have remarks made from the pulpit on my personal appearance before. However, it was a good blow, struck right home. He continued, “And you will always be miserable—miserable in life and miserable in death—if you don’t obey my text; but if you obey now, this moment, you will be saved.” Then lifting up his hands, he shouted, as only a Primitive Methodist could do, “Young man, look to Jesus Christ. Look! Look! Look! You have nothing to do but look and live! I love this. The poor shoe maker or tailor wasn’t eloquent. He probably had never heard the word “eschatology.” To Charles Spurgeon he seemed “stupid”. He didn’t pronounce all his words correctly. But he shared the good news. He shared the simple core of the gospel – Jesus was crucified, died, was buried, and rose from the dead. 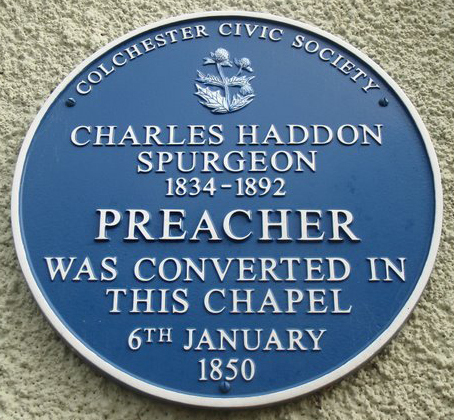 And God attended his simple message with life-transforming power and raised Charles Spurgeon from death to life. This is liberating when we share the gospel with our children, friends and relatives. It’s not our brilliant articulation that saves anyone – it’s the power of the word of God and the Holy Spirit. Of course we want to express God’s truth as clearly as we can, but even if we stumble and share the gospel imperfectly, it is the power of God that saves. We must do all we can to teach our children about Jesus and bring them up in the fear and instruction of the Lord. We should read the Word to them and teach them. We should encourage them to turn to Jesus. But we can’t cause them to be born again. We must diligently share God’s word then pray and trust that the Holy Spirit to give them life. Let this encourage us to share the gospel, even if we do it poorly. I don’t encourage you to be stupid. But our feeble words plus God’s mighty power is all God needs. When difficulties, trials, and suffering come in our lives, often the first question we ask is, “why?” How could God allow this? Why does God allow suffering at all? Could there be any purpose in suffering? 1. Suffering is used to increase our awareness of the sustaining power of God to whom we owe our sustenance (Ps 68:19). 2. God uses suffering to refine, perfect, strengthen, and keep us from falling (Ps 66:8-9; Heb 2:10). 3. Suffering allows the life of Christ to be manifested in our mortal flesh (2 Cor 4:7-11). 4. Suffering bankrupts us, making us dependent upon God (2 Cor 12:9). 5. Suffering teaches us humility (2 Cor 12:7). 6. Suffering imparts the mind of Christ (Phil 2:1-11). 7. Suffering teaches us that God is more concerned about character than comfort (Rom 5:3-4; Heb 12:10-11). 8. Suffering teaches us that the greatest good of the Christian life is not absence of pain, but Christlikeness (2 Cor 4:8-10; Rom 8:28-29). 9. Suffering can be a chastisement from God for sin and rebellion (Ps 107:17). 10. Obedience and self-control are from suffering (Heb 5:8; Ps 119:67; Rom 5:1-5;James 1:2-8; Phil 3:10). 11. Voluntary suffering is one way to demonstrate the love of God (2 Cor 8:1-2, 9). 12. Suffering is part of the struggle against sin (Heb 12:4-13). 13. Suffering is part of the struggle against evil men (Ps 27:12; 37:14-15). 14. Suffering is part of the struggle for the kingdom of God (2 Thess 1:5). 15. Suffering is part of the struggle for the gospel (2 Tim 2:8-9). 16. Suffering is part of the struggle against injustice (1 Pet 2:19). 17. Suffering is part of the struggle for the name of Christ (Acts 5:41; 1 Pet 4:14). 18. Suffering indicates how the righteous become sharers in Christ’s suffering (2 Cor 1:5; 1 Pet 4:12-13). 19. Endurance of suffering is given as a cause for reward (2 Cor 4:17; 2 Tim 2:12). 20. Suffering forces community and the administration of the gifts for the common good (Phil 4:12-15). 21. Suffering binds Christians together into a common or joint purpose (Rev 1:9). 22. Suffering produces discernment, knowledge, and teaches us God’s statutes (Ps 119:66-67, 71). 23. Through suffering God is able to obtain our broken and contrite spirit which He desires (Ps 51:16-17). 24. Suffering causes us to discipline our minds by making us focus our hope on the grace to be revealed at the revelation of Jesus Christ (1 Pet 1:6, 13). 25. God uses suffering to humble us so He can exalt us at the proper time (1 Pet 5:6-7). 26. Suffering teaches us to number our days so we can present to God a heart of wisdom (Ps 90:7-12). 27. Suffering is sometimes necessary to win the lost (2 Tim 2:8-10; 4:5-6). 28. Suffering strengthens and allows us to comfort others who are weak (2 Cor 1:3-11). 29. Suffering is small compared to the surpassing value of knowing Christ (Phil 3:8). 30. God desires truth in our innermost being and one way He does it is through suffering (Ps 51:6; 119:17). 31. The equity for suffering will be found in the next life (Ps 58:10-11). 32. Suffering is always coupled with a greater source of grace (2 Tim 1:7-8; 4:16-18). 33. Suffering teaches us to give thanks in times of sorrow (1 Thess 5:17; 2 Cor 1:11). 34. Suffering increases faith (Jer 29:11). 35. Suffering allows God to manifest His care (Ps 56:8). 36. Suffering stretches our hope (Job 13:14-15). When it comes to the process of sanctification, who is responsible for what? Teachings on personal holiness range from a “God is in control so don’t worry about your own conduct” approach to a legalistic rules and regulations approach that on a practical level leaves holiness entirely up to the individual. Which is it? On the surface it may seem that grace and the personal discipline to pursue holiness are opposed to one another, but Jerry Bridges argues that they are not. In fact, they go hand in hand. Bridges provides a balanced approach to sanctification that emphasizes both God’s grace and human responsibility. Indeed, God is in control and His grace is the ingredient that empowers our efforts to become more holy. This book provides a balanced understanding of how grace and personal, vigorous effort work together for a life-long pursuit of holiness. A foundational point that Bridges makes is that Christians must constantly preach the gospel to themselves. The conventional paradigm is that the gospel is relevant to unbelievers, and that after they come to the Lord, the essential focus becomes one of discipleship. However, Bridges reminds us that daily recognition of the saving grace of the gospel message is necessary if discipleship is not to become a matter of performance and of empty striving. Those who read the first part of the book and begin to think (as I admittedly did) that Bridges is soft-peddling sin by exalting grace need to read through the entire book. The last six chapters really bring a solid balance to the presentation of pursuing holiness. Bridges puts practical application on God’s grace and develops several biblical disciplines that all Christians should heed in their lives. Particularly insightful was his comment that many folks who practice certain disciplines can get into a legalistic mindset because they do not practice the disciplines out of a love for God, but out of a fear of guilt or out of loving the disciplines themselves but not loving God. I would strongly recommend this book to all Christians at any stage of their Christian walk. There is some very good meat in here that personally convicted me, and I think many Christians who are trapped either in a legalistic or antinomian mindset will find the biblical balance set forth by Bridges to be very refreshing. Those who struggle with understanding their role versus God’s role in sanctification will find in this book a God focused perspective that affirms human responsibility in the context of God’s sovereignty, and that these truths are complementary in the area of Christian living and pursuing holiness. I believe this book, which grapples with many of the central issues of the Christian walk, should be required reading for all believers. When it comes to the area of Christian living, this book is a must read.